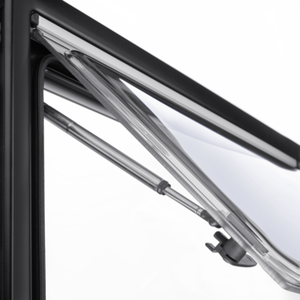 Looking for a top-quality, attractive window to enhance the side of your motorhome or caravan? This model boasts superb workmanship, materials, and operating convenience. 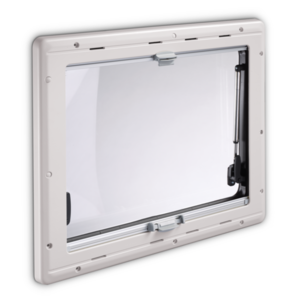 Tried and tested millions of times, S4 windows are the perfect choice for your motorhome or caravan. Friction hinges enable smooth opening to any position, while the security locking system prevents the windows from being opened from the outside. The superb insulation achieved by the double acrylic glazed window pane and its polyurethane frame matches the construction standards of homes! The fly screen and darkening blind, which can be conveniently clipped together for simultaneous adjustment with one hand, make privacy and an insect-free interior easy to achieve. We know that magic feeling of looking out the window and seeing a new view from your motorhome window. For many people it's the very reason why they invested in a motorhome, to explore and savour Earth's beautiful nature from their very own rolling home. It fills us with great pride to think of the millions of customers looking out of our windows, each feeling that sense of freedom and happiness. 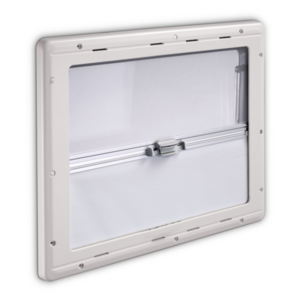 Our S4 windows are perfect for the job too: with flexible opening positions, strong insulation, a darkening blind for privacy and a fly screen to keep out unwanted six-legged guests! A tried and tested success! The Dometic S4 sliding or top-hung hinged window boasts a built-in aluminium-coated darkening blind and a fly screen. A secure locking system prevents it from being opened from the outside. 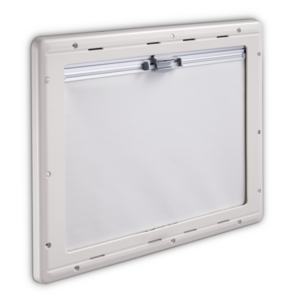 Its fly screen and darkening blind offer users both privacy and freedom from insects! 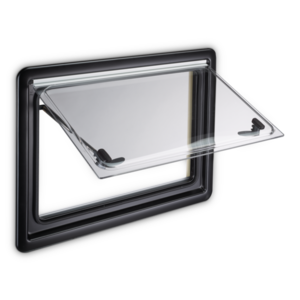 Double acrylic glazing of the window pane and a robust polyurethane frame ensure excellent insulation. Stepless stays allow flexible opening to any position (top-hung version).